Hi Peeps! Imagine what it would be like to have NO fur coat all you doggies, kitties, and guinea pigs out there – just imagine……but on a HOT HOT HOT day, we’d sometimes like to slip out of our fur coats and chill – right? Well as you know there ARE some of us who ARE hairless………and frankly, they kinda make me glad I have a fur coat even if I get HOT in the summertime! Mexican hairless dog……..actually hard to tell he’s hairless – could just have a shiny short cropped coat I suppose…but he’s got “worry lines” in his forehead! Maybe he’s wondering where his coat is????? And this little sphinx kitty – he’s only 12 weeks old and already he looks COLD and like he’s somebody’s grandpa. Also has “worry lines” – see what I mean? There’s a lot to worry about when you have no “protective coating”. I really am not poking fun at these guys – there’s room on the planet for ALL of us and we ALL deserve a wonderful life – right? I just got to thinking the other day when some of my bloggy buddies were saying they wish they had a shorter coat or less hair just exactly what that might mean for some of us and all I can say is that I will not be complaining again about being warm because I have a coat on! To be super fair, I have to say while looking for those pix online I saw some totally ADORABLE pictures of “baby” sphinx and hairless that were BEYOND cute. Have you ever noticed that baby animals (and baby humans too!) are almost always totally adorable? It helps us find our forever homes early on I think. As for human babies – I’m sure when they’re waking their parents up every two hours all night long at first with dirty nappies and being hungry it HELPS a lot that they’re adorable (if you get my drift). I think the bottom line is beauty is all around us – and takes all forms and shapes and sizes. Hairy and hairless, we’re all worthy of love. Right???? Gosh – I really hadn’t intended to do a lecture on babies or hairlessness but there it is anyway huh? I think I’ll go admire my ginger furs in the mirror. I’ve certainly learned to APPRECIATE my gingerness, that’s for sure! Just checking….yep – I’m ginger alright!! That leg definitely has ginger fur on it! FURSDAY HUGS FROM YOUR GINGER MAN !! Sammy you are so right..but boy I am even colder looking at those furless sweeties..i always get angry when they have “ugliest pet” competitions..i see nothing ugly in animals..i see uniqueness …and people it’s the same…deep inside us is what makes us who we are….having said that your gingerness is indeed wonderful! Dinnermintz has a ginger girl crush on you of course!! you see nearly everyone assumes Dinnermintz is a boy! and funny even though she is a ginger cat I see her as ‘Feminine” ask mum what she thinks but I somehow can tell the gender of cats and dogs because they have certain male or female qualitites! does mum find the same thing? Yes indeed she does…..sometimes it’s just the way an animal moves – or an expression – but Mom’s usually right…..USUALLY. I think all animals are most interesting creatures….I’m also a BIG fan of bugs. Love bugs. Please tell Dinnermintz that I think she’s gorgeous…..and like you said, it’s ever so unusual to find a girl-Ginger so it makes her quite special!! Animals are fascinating aren’t they Sammy! and I love bugs too..we have non deadly scorpions and grasshoppers,praying mantis as long as my hand,butterflies all sorts ..an the bugs outnumber the other species!! I will tell Dinnermintz you paid her a lovely compliment! Yes she is our second ginger girl and we are very lucky she found us! Oh I love praying mantis – I’ve never seen a HUGE one but it’s fun when the Mommy Mantis have babies – they’re so tiny and they run so fast! ICKY ICKY YUCK YUCK for snakes but YAY YAY on mantis….they are the good guys!! The funny thing about Sphynx kitties – they get LESS wrinkly as they get older, which is exactly the opposite of humans! It’s great that there are different types for everyone but I’m afraid I love my fur and I know that The Help does too! My Mom enjoys brushing me so much that if I didn’t have my fur she’d REALLY miss it! Can’t hardly brush naked skin now can you?! YAY FOR HAIR! When I was looking for pictures to use for my bloggy I saw LOTS of pictures of hairless doggies and kitties with sweaters on. I guess it might be important to keep the chill out! Aw we think that those hairless pets look sweet. We like hairless guinea pigs or ‘skinny pigs’ too, but our fur is what makes us lovely to snuggle. I’m sure that’s true – the furrier we are the more cuddly we are but then I’m sure people who have those hairless creatures think they feel nice and smooth too……All God’s creatures are fabulous aren’t they? YAY for all of us! I’m SURE Savannah would happily lend her teleport tunnel to you……on the other hand I’m sure your clever Dad could fix up that new tent of yours so that it could act as a teleport-tent !! No furs!?? What would we leave all over the house and our parents’ clothes if we had no furs? Boring! 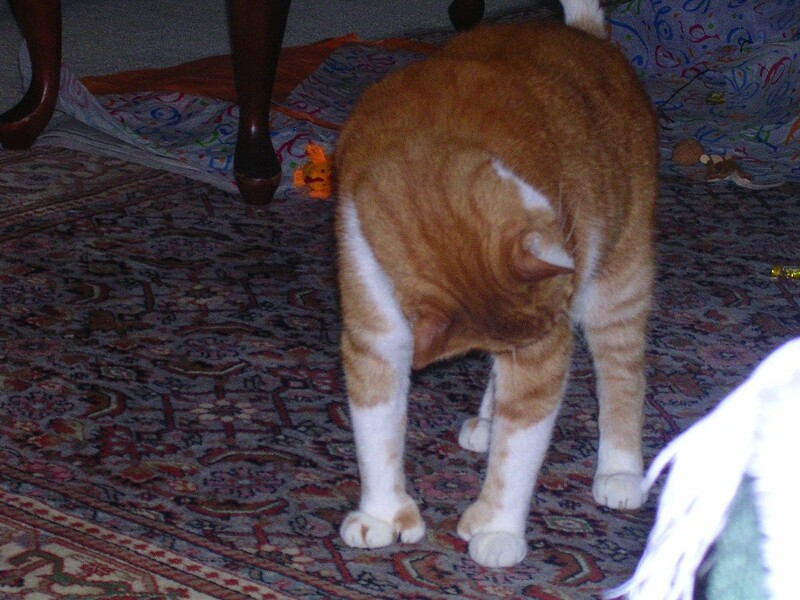 I know…..no more hairy dust bunnies under beds…..no more kitty (dog) hair on Mom’s black slacks…..boring is right! I think we would love our fur babies even if they’re ‘furless-babies! You are right Sammy, we shouldn’t judge people by their looks, we are all special. Beautiful Lee and Handsome Phod loving everyone today. YAY! Let’s hear it for just being ourselves no matter what that “looks like” !!! Happy Thursday you two BEAUTIFUL pups! 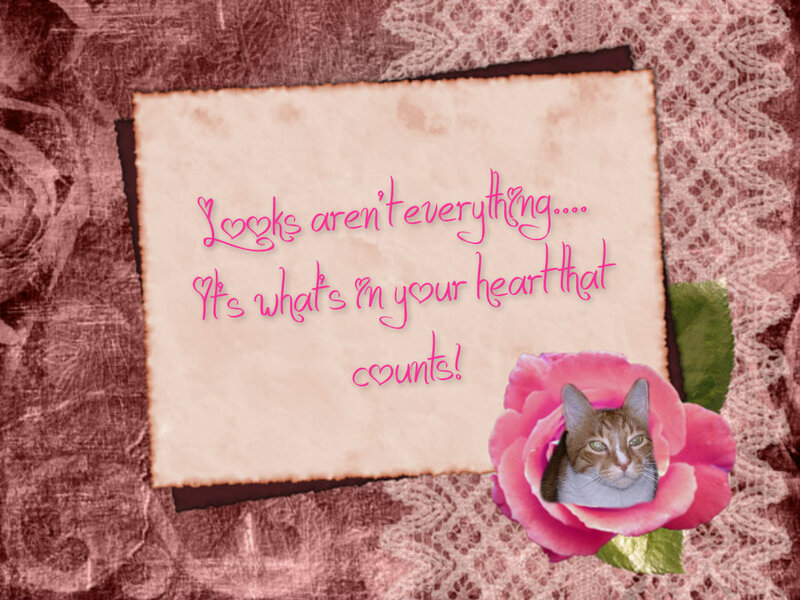 Well I agree looks aren’t everthing, it’s what in our heart that counts but I am happy you have your ginger fur Sammy! We had some lovely cool weather for sitting under the oaks yesterday afternoon and I think it is going to be the same today! Ah. It’s only 69 degrees here this morning – WOW……a gift in the middle of summer for sure! Enjoy……….we sure are! We will be grilling chicken kabobs tonight 🙂 It’s all about the food in summer! Enjoy your Thursday Sammy! That sounds delish! My Dad said he’d like pork chops for dinner before he left for the airport a bit ago so Mom will be cooking those INSIDE although they would be nice on the BAR-B too!! Wow, having no hair sure changes the way somebody looks! All our doggies love to sleep on top of the air conditioning vents in the summer months… Wonder why? HA! HOT HOT HOT FUR……well, I’d rather have it than not I suppose….I do know my Mom wasn’t very happy to lose some of her fur when she was having those icky treatments….I guess humans like fur too! Look away… no… not… furless kitties? Oh My. I like me some fur. HAHAHA…..I’ve heard that about Sphinx kitties….They actually can look very elegant like the Egyptian artifacts depicting cats…..but all it makes me wanna do when I see them is hand them a sweater……. That’s me – ginger from tip to tail……….and happy to have it!! Bacon pie or catnip pie or FISH pie?????? Sammy and Pam …. That is my favourite meme you have made …. We love the Sphynx breed which Canadian like us. They are oily and need regular baths and def. sweaters in cold weather. Purrs to our fave Ginger Man! Hi Miss Layla!! We have been looking at more info today online about them and they are interesting for sure! I think though I’ll stick with my furs…..even in the summertime when it’s HOT HOT HOT! Well, I think I prefer my fur-babies with fur, but I’m not sure why, when so much of it is just on my floors anyway. I bet there are people who are totally devoted to the hairless breeds though, and that’s as it should be….each to his own. But those guys sure do look like they’d be chilly in the Winter! HAHAHAHAHAHA……I’m so glad you paid attention Austin. Professor Sammy has now officially left the building…………(looking for Elvis). I’ve often old ol’ peepers she should grow a fur coat, like me. That way, a wayward claw wouldn’t hurt quite as much. Don’t you agree? Oh that’s an excellent idea Nissy……humans have so little protection from claws, bugs, weather – having furs would make SO much sense. True that some humans have more fur than others but basically they really are VULNERABLE creatures. I’ve seen pictures of humans from long long ago – Mom says they’re called cavemen – they had LOTS of furs on them. Wonder why that went away???!!! Great post Sammy. They sure are cute. Fur or not. They do have a certain charm don’t they? Especially the cats – very “Egyptian” looking!! Right now, my Mommy would LOVES to has hairless pets! Our whole house is a big pile of fur! Ad she says it is too hot to vacuum! Oh Nellie, you’re so super tiny you would look almost invisible if you didn’t have your beautiful silver furs on! I think the fur problem around your house can be blamed on the doggies NOT you and Kozmo!!!!! Oh I agree – we gingers are especially fabulous cats (hee hee hee). I don’t know Conan – maybe I should??????? You’ll have to stay up late or PVR ‘Conan O’Brien…..he’ll make you laugh like crazy. I actually watch him in the morning while I record the news, then I go back and watch the news without commercials. Awwww….thanks for saying that! I’m sure some of those little hairless creatures do catch a chill or possibly get a bad sunburn since they have NO protection…..I’m absolutely glad to have my ginger coat with me at all times. I know you all are happy to have coats too! I don´t have trouble with the hot , because we have a A/C in our apartment so we allway´s have a nice temperature inside. in this weather I would happily be hairless! Oh but Misaki your furs are so beautiful! A naked Misaki???? me can not imagine no fur on me ‘pluxureeuss’ body tho…me attached (little pun dere) to me fur!!!! Sammy you n Dinnermintz wuud make da gingereeest coule fer shure! Mum sayz she never shave me altho she has cut mattz outta me fur when I mess meself up….groomin wifout teefiez iz NOT easy!!!! MOL.